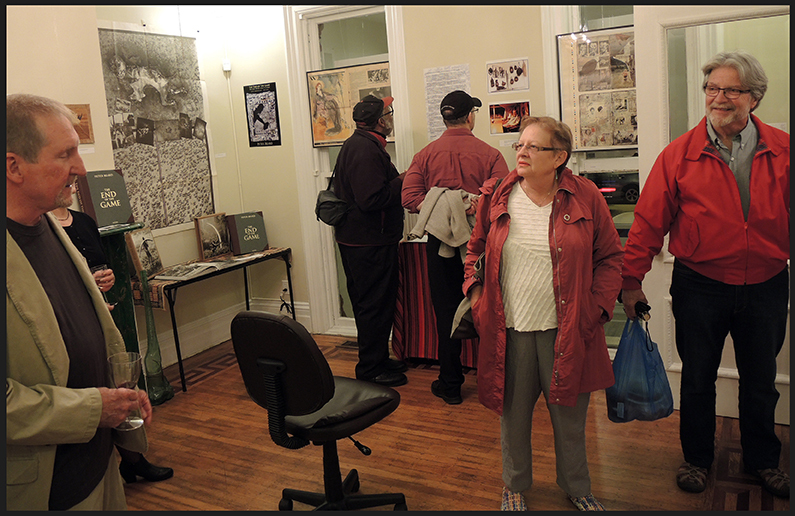 A photo exhibit, The End of the Game – The Last Word from Paradise, Revisited opened at the ¡Buen Vivir! Gallery in Buffalo. Friday, 9 October 2015. Photos by Orin Langelle. It will continue through 17 December with a special Allentown First Friday Reception on 6 November. The Gallery is located at 148 Elmwood Avenue in Buffalo. Hours are from 1:30 to p.m. to 4 p.m. Tuesday through Friday, 6 to 8 p.m. Friday evenings and I to 3 p.m. on Saturdays. 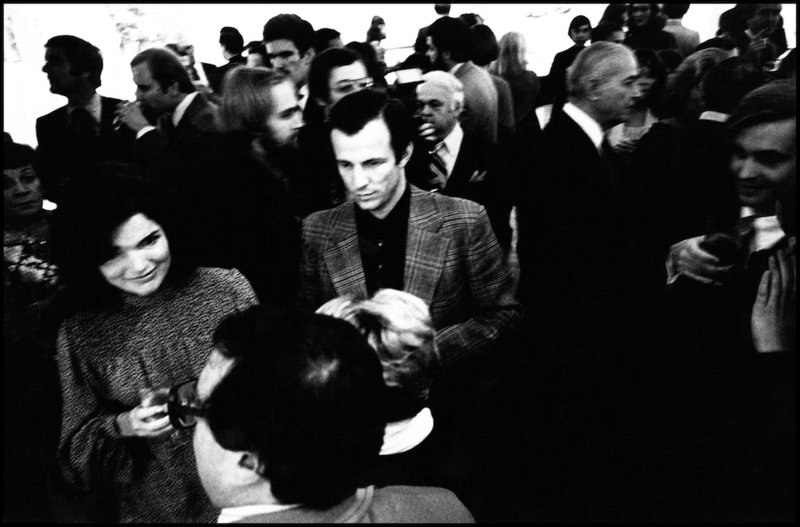 Jackie Kennedy Onassis and Peter Beard at his 1977, International Center of Photography opening in Manhattan, The End of the Game – The Last Word from Paradise. 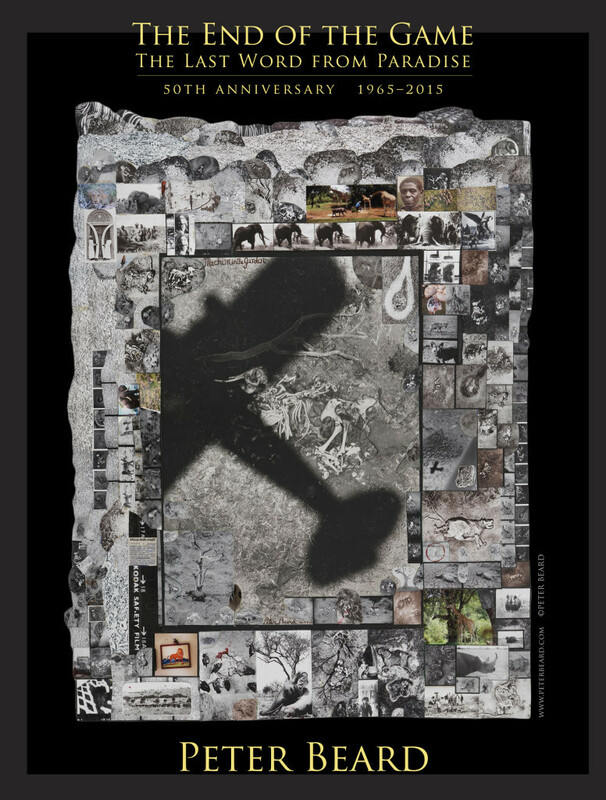 2015 is the 50th anniversary of artist Peter Beard’s book, The End of the Game – The Last Word from Paradise. Beard spent many years in Africa documenting the impact of Western civilization on elephants, other wildlife and the people who lived there. 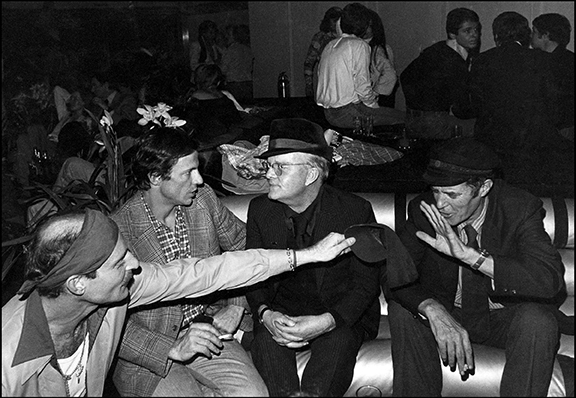 In 1977 Beard had the first one-person show at Manhattan’s International Center of Photography, The End of the Game – The Last Word from Paradise. Over four months, Orin Langelle photographed Beard and the people, many celebrities, that were part of Beard’s life prior to and during the exhibit’s installation and the subsequent opening, plus Beard’s 40th birthday party at Studio 54 in January of 1978. Langelle’s photographs are of events surrounding Beard’s 1977’s The End of the Game – The Last Word from Paradise. The ICP installation consisted of Beard’s photographs, elephant carcasses, burned diaries, taxidermy, African artifacts, books and personal memorabilia. In the early 60s Beard worked at Kenya’s Tsavo National Park, during which time he photographed and documented the demise of over 35,000 elephants and 5,000 Black Rhinos. Langelle’s work at the International Center of Photography gave him a rare insight into Beard, whose controversial views on ecology then, are just as relevant today. With the support of the Peter Beard Studio, ¡Buen Vivir! presents this exhibition to commemorate the 50th anniversary of Beard’s book, The End of the Game – The Last Word from Paradise. The book, soon to be released, can be ordered from Taschen. 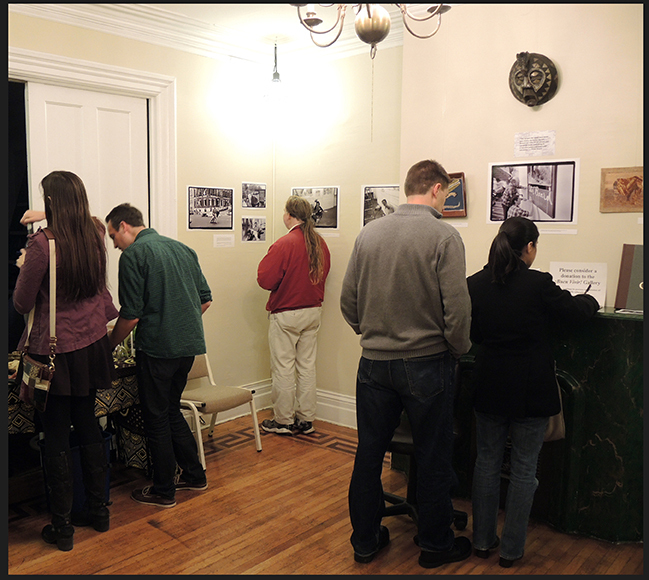 Below are two photos from the opening of the ¡Buen Vivir! Gallery exhibit in Buffalo last Friday 9 October taken by Anne Petermann, Executive Director, Global Justice Ecology Project.